Birth control pills are oral contraceptives that are taken every day in order to prevent pregnancy. Most women can safely use birth control pills, but pill use may carry some risks and/or side effects for certain people. One of the possible side effects of birth control pills is, indeed, a change in mood. If you have a history of depression, you may not be able to continue to take birth control pills if your depression worsens. Studies show that this is not a common, or likely, side effect, but some experts nevertheless disagree. The results of a study, published in the Journal of Epidemiology in 2013, show that young women using the birth control pill and other hormonal methods were no more likely to be depressed than other young women. In the push-back upon the publication of these results, the lead author of the study pointed out that irritability and mood swings are very different from depression and suicide attempts, though they're definitely something to bring up with your doctor. Meanwhile, another study in the journal Psychoneuroendocrinology gave some women a cycle of birth control pills and other women placebos. At the end of the cycle, the women taking hormonal birth control were actually more likely to report worse mood, fatigue, and mood swings than the placebo group. So it seems that the truth remains elusive. If you experience any of these side effects, including worsening depression, especially for a period of longer than three months, you should consult with your physician for advice. 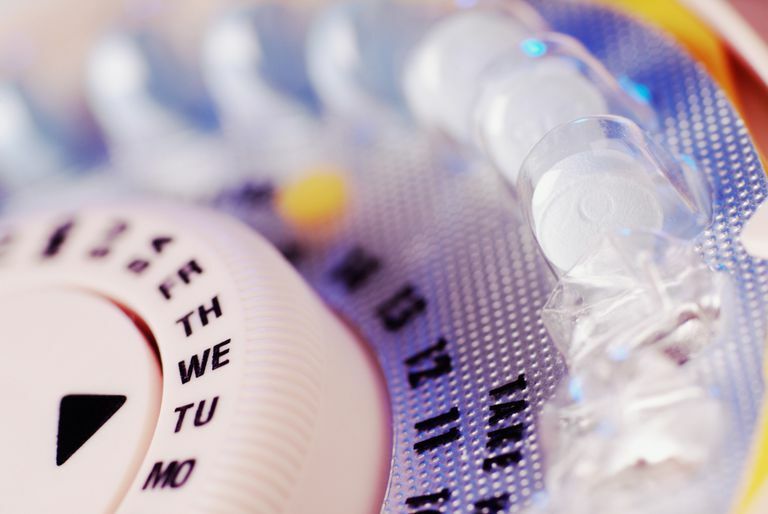 It may just mean that your birth control pill needs to be changed. The Pill: Pros vs. Cons Women have been enjoying the benefits and advantages of the birth control pill since its FDA-approval on May 9, 1960. The pill is actually one of the most researched and studied of all medications. Most women can safely use birth control pills, but pill use may carry some risks and/or side effects. Real Women Discuss the Pros and Cons of Birth Control Pills. Find out what works or doesn't work for other women. Real women, like yourself, talk about their experiences on the pill. What Are the Possible Side Effects of the Birth Control Pill? While the majority of women who use the birth control pill experience no side effects at all, this oral contraceptive does carry some risks. Before You Choose a Birth Control Method. When choosing a birth control method, there may be several things that will be helpful for you to consider. Top Nine Depression Symptoms. The nine symptoms that are used in the fifth edition of the Diagnostic and Statistical Manual of Mental Disorders (DSM-5) to diagnose Major Depressive Disorder. Martha Kempner. "Does the Pill Make You Depressed? A New Study Says No But Some Experts Disagree." RH Reality Check. October 3, 2013. Casey Gueren. "Does the Pill Really Cause Depression?" Women's Health. October 2, 2013. Casey Gueren. "Here's How Your Birth Control Actually Affects Your Mood." BuzzFeed Life. June 3, 2015. Keyes et al. "Keyes et al. Respond to 'Hormonal Contraception and Mood.'" American Journal of Epidemiology. 2013. Gingnell et al. "Oral contraceptive use changes brain activity and mood in women with the previous negative effect on the pill--a double-blinded, placebo-controlled randomized trial of a levonorgestrel-containing combined oral contraceptive." Psychoneuroendocrinology. 2013.